Mwamba’s Humphrey Kayange and Menengai Cream Homeboyz youngster Collins Shikoli are jointly perched atop the Kenya Cup try scoring charts with 9 tries apiece. The KCB duo of Darwin Mukidza and Davis Chenge are joint second with 8 tries each while Collins Injera (Mwamba) and Pius Shiundu (SportPesa Quins) round off the top three with 7 tries apiece. 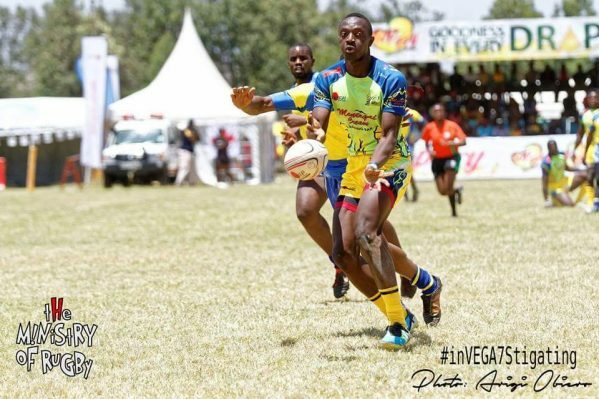 Another five players, Bridgen Anditi (Mwamba), Duncan Ekasi (Resolution Impala Saracens), Felix Ayange (Kabras Sugar), Ginton Adongo (SportPesa Quins) and George Adongo (Top Fry Nakuru) are tied for fourth place, each having landed 6 tries.